Samsung seems to be planning to unveil its first foldable smartphone at the Galaxy Unpacked event on February 20, the company has hinted in a press release. 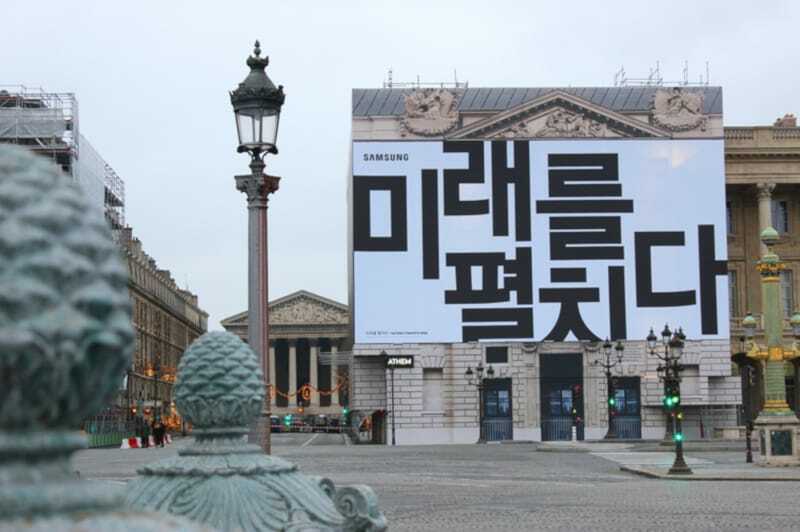 The company on Sunday issued a press release in South Korea to mark the placement of two Galaxy Unpacked event banners, written in Hangul, in Place de la Concorde of Paris. Hangul is the Korean alphabet and the company notes it is the first time that it is using Hangul for outdoor advertising. The Samsung press release reveals that the banners carry the phrase “Unfolding the future,” which seems to be a clever nod to the company’s foldable smartphone. Although the company doesn’t explicitly mention that it is going to unveil its foldable smartphone, likely to be called Galaxy F, at the Galaxy Unpacked event, the use of “Unfolding the future” phrase to publicise the event is a pretty good indication that we will see the phone on February 20 (February 21 in some time zones). This lines up with a recent the Wall Street Journal report, which too had claimed that we are going to see Samsung’s first foldable phone at the Unpacked event. The report, however, did not mention whether it will be an official unveiling, or the company will just showcase the phone. Given the latest indication from the South Korean manufacturer, it seems more than likely that the company will officially introduce the Galaxy F alongside the new Galaxy S10 phones at the event. Apart from giving attendees a quick glance at a disguised Galaxy F at the Samsung Developer Conference in November last year, Samsung has been largely quiet about the specifics of the device. The phone is said to be sporting two screens, including one large foldable display.